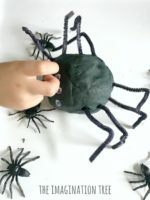 Make a fun activity for preschoolers and school aged kids with this feed the hungry shape monsters sorting game! 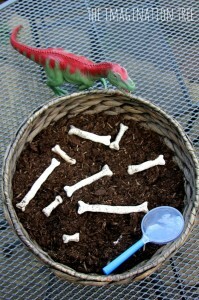 So simple to make and great for teaching little ones to recognise, name and sort 2D shapes in a silly, hilarious way! 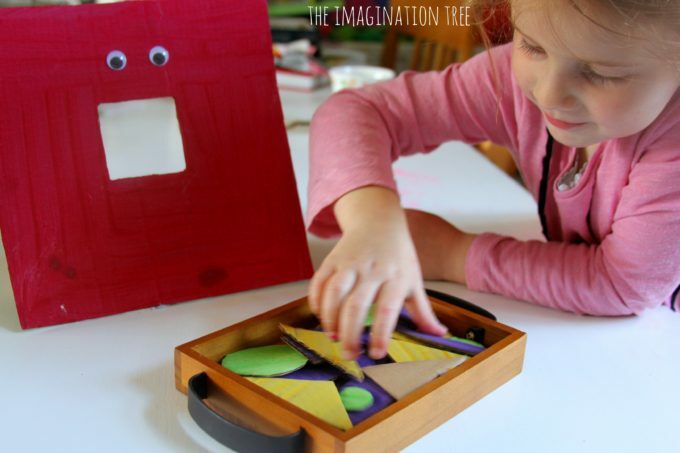 We made this funny feed the hungry shape monsters sorting game using pieces of old cardboard, some paint and googly eyes! It was lots of silly fun for Miss 4 to sort and match the 2D shapes, naming them as she played. 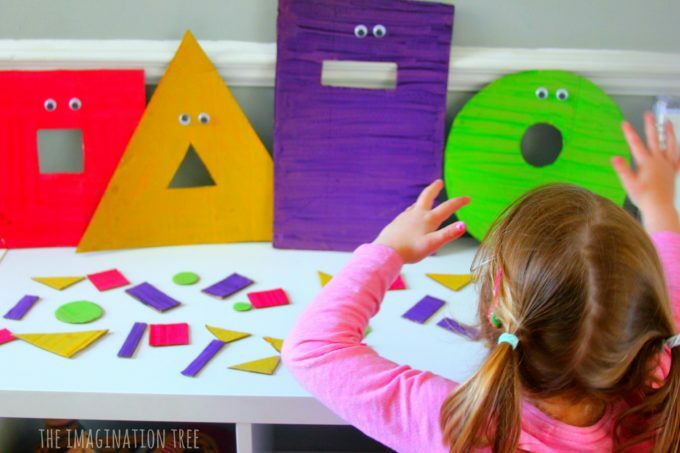 Simply paint the cardboard in as many colours as you like, using one per 2D shape that you wish to create. 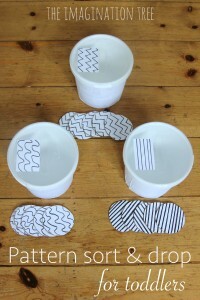 You could also make them all one colour, or black and white even, for an extra challenge! We stuck with just 4 basic 2D shapes; circle, square, rectangle and triangle. Once the paint was dry I cut those shapes out and made them different sizes, and the triangles were cut in a variety of forms so that they weren’t all identical. Out of some larger pieces of the same painted card I cut one large shape of each, then a correspondingly shaped hole to represent a mouth. 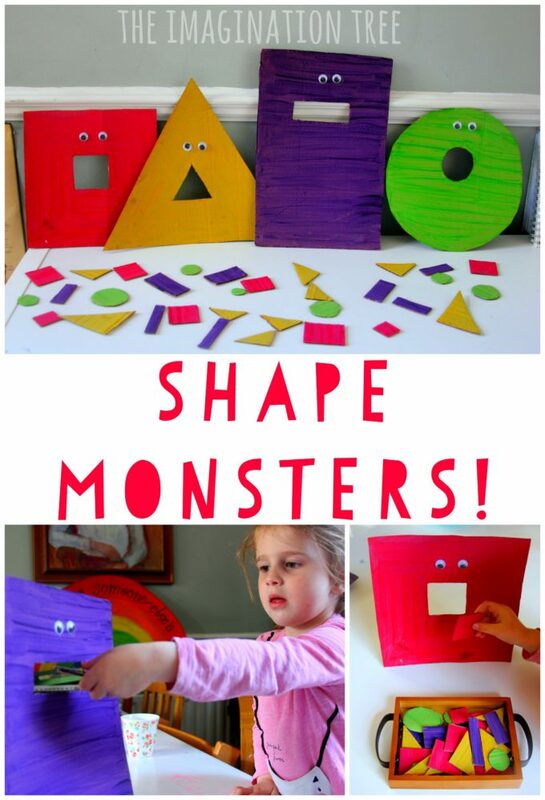 She helped me add some googly eyes to turn them into hungry shape monsters, ready to gobble up their favourite shapes! 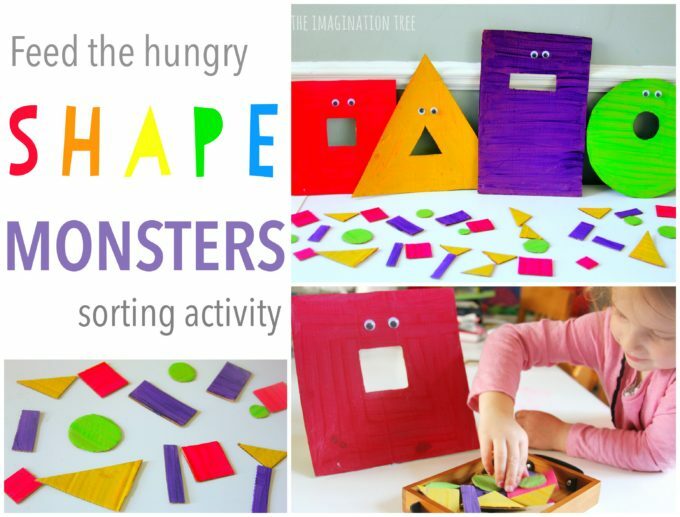 We mixed up all of the shape cards and put them in a little tray, then set out the hungry shape monsters ready to sort through and feed them all! They looked so comical sitting in a row waiting with their mouths wide open. She loved this shape sorting game and naturally her play led to making up stories for each of the monsters and why they were wanting to eat their shapes. Naming the 2D shapes became part of the play and she used words like “corners” and “sides” while describing them. 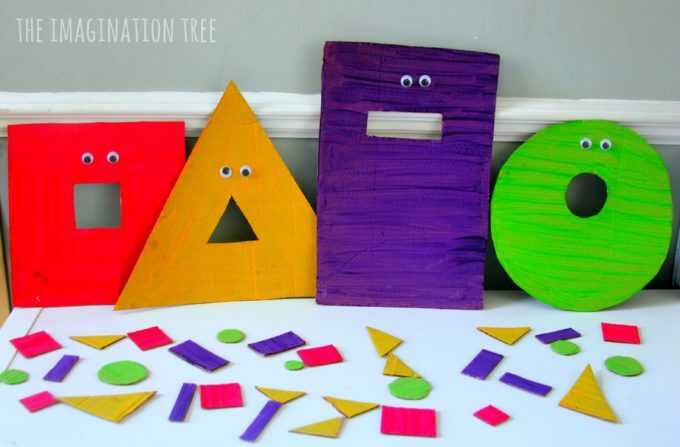 This is a simple way to say and use 2D shape names with preschoolers and to sort them by sight. 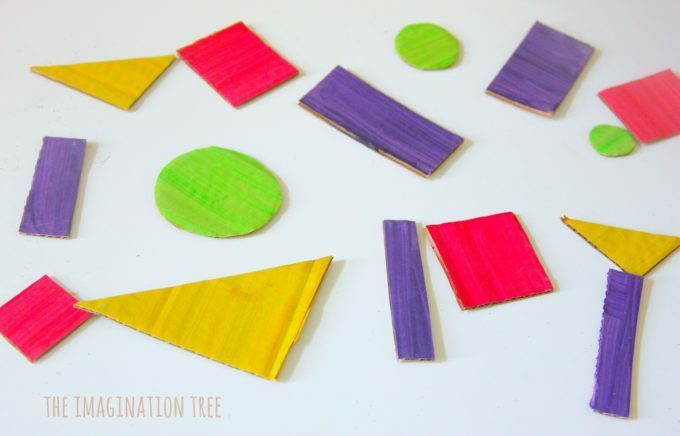 For an extra challenge and the next step on you could add in more unusual shapes such as hexagon, heptagon, octagon and even more! 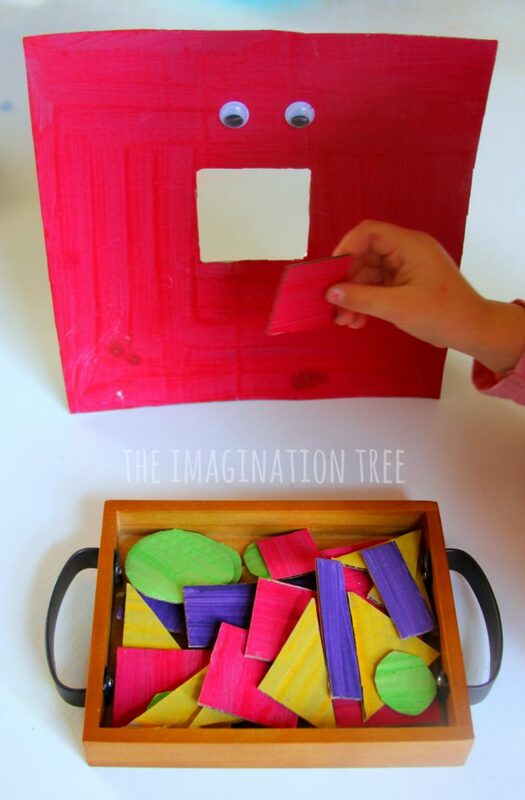 Alternatively, ask them to sort them by the number of sides or corners that they have or even create some 3D and others 2D to mix it up further. 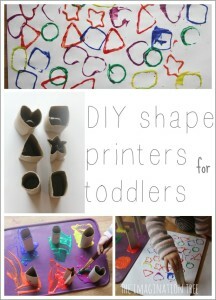 You could also try this using colours, numbers or letters of the alphabet too. 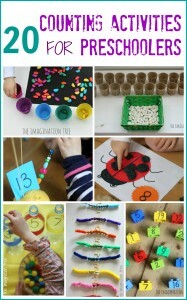 It’s always great fun to post things and retrieve them again (indeed this seems to be the number 1 most popular activity with preschool aged children) so why not extend it and find many different ways to play! See all our DIY TOYS and GAMES here for more inspiration! 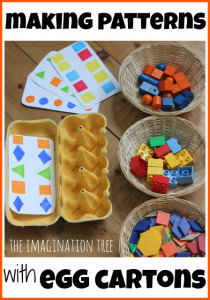 And our PLAYFUL MATHS archives are full to bursting with good ideas to try!